This tune is an all-time great. Not only are the song and lyrics amazing, but the various versions that exist make it legendary. As I said, the song as it appears in it’s original studio form is great but this acoustic guitar/drum machine version from The Talking Head’s 1984 concert film-meets-performance art piece, Stop Making Sense, is truly amazing. 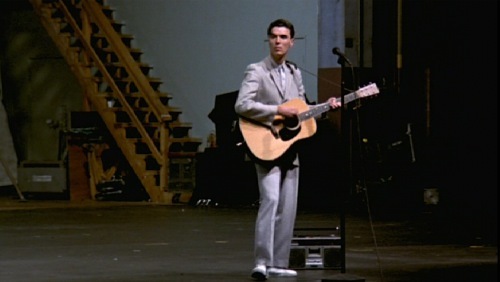 David Byrne, walks out on to an empty stage. Empty. As in, they haven’t even set up the backdrop or any of the band’s gear yet. He drops a boombox at his feet and presses play to cue the drum track. Within seconds, Byrne begins to play those classic chords and then he rips into the verse. As he continues, the stage crew begins to build the set around him for the rest of the show. There is even an 80’s style drum break that comes at the end. Couple that with his moves and you got a real winner. Check it out below. And if you haven’t seen the whole film, make sure you seek it out immediately. It may very well be the best “concert” film of EVER! This 1972 classic features Pink Floyd playing live in the ruins of the Roman Amphitheater in Pompeii, Italy. The film is really cool. It was directed by Adrian Maben and recorded in October of 1971. Some versions of this film have additional footage from an Abbey Road concert that showcased a bunch of new material from the bands upcoming album, The Dark Side of The Moon. Below are the six songs performed live in Pompeii. If you are only going to watch one, it has to be “Mademoiselle Nobs”. 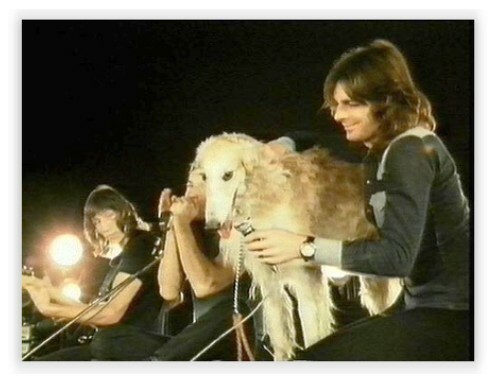 It a very short tune that has David Gilmour playing harmonica, Roger Waters on guitar, Richard Wright on keyboards and a Russian Wolfhound named Nobs on lead vocals. This song was originally titled “Seamus”, which first appeared on the “Meddle” album released in 1971. It was renamed for this, the only live version of it, in honor of their guest vocalist. You have to check out this dog, it’s fantastic. The other songs are great too. Plus, the performance footage amongst the ashy ruins is pretty spectacular. Watch all six tracks or, if you just want to watch a few, make sure you check out “Nobs” and “One of These Days”. I also really like “Saucerful of Secrets”, but you may want to skip to about 5 mins into it. The crescendo intro is pretty tough to endure if your not in the mood. This song happens to be my favorite from this entire performance. With or without the intro, it’s just a really good tune. I was recently reminded of this video (which I own and used as inspiration for some time) from two masters of the bottom end. This trio, Bass Extremes, is the brain child of world renowned bass players Steve Bailey and Victor Wooten. Before starting this side project, they built their careers as 1st call sideman to some of the biggest acts in the biz, as well as doing session work on numerous albums and actively teaching at various institutions around the country. One look at these fellas and you’ll see they are truly musician’s musicians. Not to say that their music is completely inaccessible to the common music fan, it most certainly is, but they are guys who have been playing their instruments with an insane fervor to learn and develop their technique since they picked them up. Both have played since they were just kids. In Vic’s case, he was about 4 years old when he started playing live with his older brothers. The Wooten Brothers even toured with Curtis Mayfield and were almost the next big thing in R&B until the Jackson 5 stole their thunder. Steve used to spend hours practicing in a literal woodshed (not just a term from the old jazz days) at his parents home in South Carolina. He once told me he would try to practice 12 hours a day… which always seemed impossible to me. Nevertheless, he said he would wake up in the wee hours of the morning to practice, go to school, think about playing while in school and then come home and immediately get back to practicing, going until the sun went down. Somehow he got some surfing in there too but I never asked about that. They were inspired by the giants that came before them. Guys like James Jamerson, Chuck Rainey, Donald ‘Duck’ Dunn, Jerry Jemmott, Jaco Pastorius, Stanley Clarke, Marcus Miller and many others. They have made it a mission to carry on that tradition of discovery and exploration to a younger generation of players. All of these men are part of a small group of players that have dedicated their lives to pushing the boundaries of what could be done on the bass and, consequently, have redefined the instrument and the expectations of it’s role in music. These 2 videos will show you what I mean. They are taken from an instruction video where they play a song live and then follow that with a little Master Class session explaining the techniques they use and how they developed those techniques. Keep in mind this is just a trio: 2 basses and drums. The reason it is not overly muddy is that the bass voices are quite distinct. Vic plays a fretted four string that is often tuned up to be an octave higher, known as a tenor bass. Vic is famous for his unique thumb and pluck style which has taken “slap bass” and reinvented it. Steve plays a fretless six string which allows him to play more chords and sweeter tones. He is a master at using harmonics, more specifically artificial harmonics which allows him to play many octaves higher than the instrument was intended. 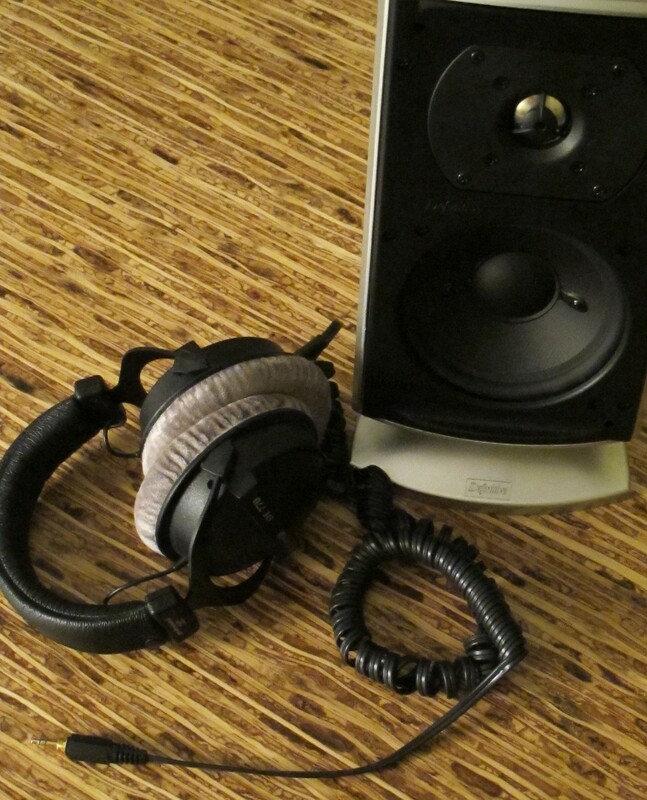 It all makes for a very clear and well organized sound… sonically speaking. Oh yea, the drummer is famed session man Greg Bisonette. *I should add this video was shot during the early 90’s and REALLY looks dated. The moustache, hair and clothes are all a little tough to take seriously but the music is just the opposite. Enjoy. This song is inspired by Stanley Clarke. It’s called “Stan The Man”. This next one is inspired by another one of their musical influences, this time piano player Chick Corea. It’s called “A Chick From Corea”. One thing you have to know about these guys is they don’t take themselves too seriously. Consequently, they have silly senses of humor, often cracking dumb jokes and they love bad puns, hence the title of this song. If you are curious, there is a lot of other footage of these guys out there, both playing together, solo and with other ensembles. Much of it is pretty remarkable, especially Vic’s solo stuff. Check it out, it’s incredible to watch. When you think of electronic music, the 1960’s doesn’t exactly come to mind. Sure, the minimalist composers like Terry Riley and Steve Reich were doing things that would later influence electronic music. And, yes, guys like John Cage were playing around with experimental music, taking “found sound” and injecting it into their live performances, but what we would now think of as electronic music was just in it’s infancy at that point. It was such a new concept that few had even explored the potential. For starters, the main contributor to the genre, the synthesizer had yet to be invented… so one would think. While modern synthesizers, like the Fairlight CMI and Synthclavier, did not appear for some time, there were a few predecessors that started it all, and with that were some very innovative artists that would pioneer a whole new breed of music. Here are a few videos of one of the earliest electronic keyboards, the Ondioline. It is a vacuum tube instrument that was invented in 1941 (!). This is one of the earliest pioneers to use such technology, Jean-Jaques Perrey, doing a demonstration of how this instrument would change the way we think of music. The first is from 1960, the second is from 1966… both are from an old show called I’ve Got A Secret. Perrey was on the absolute forefront of such music technologies. He traveled Europe showing what the Ondioline could do, then moved to NY where he helped develop the idea of making rhythmic loops out of cut and spliced tape. This technique would later be know as tape looping. Perrey would soon befriend Dr Robert Moog, the inventor of the Moog Synthesizer. The Moog was an instrument that truly changed the musical landscape. In the 70’s it rose to great prominence with help from artists like Stevie Wonder, Jan Hammer, Kieth Emerson and Bernie Worrell. Soon after meeting Bob Moog, Perrey became one of the first Moog synth musicians, creating “far out electronic entertainment”. In 1965 Perrey met Gershon Kingsley, a former colleague of John Cage. Together, using Ondioline and Perrey’s loops, they created two albums for Vanguard — The In Sound From Way Out (1966) and Kaleidoscopic Vibrations (1967). Both were groundbreaking pieces of work that still influence today’s musicians, like the Beastie Boys for instance, who borrowed the title and cover art from the former. Gershon Kingsley and Jean-Jaques Perrey were perfect collaborators however, they soon parted ways to work on their own music. Interestingly, they both created some extraordinary work as individuals. Some of which still lives on today. For instance, Kingsley’s 1969 hit “Popcorn” was a huge success that is often covered by contemporary musician, both young and old. This all instrumental pop-centric tune was created after listening to the rhythm of a popcorn maker. The song was featured on his 1969 release Music To Moog By. Kingsley became famous for being the first musician ever to play the Moog in live performances. It should be no surprise that the Moog was his writing tool for this worldwide hit and would later define his style. Here is the original video produced for “Popcorn”. You will absolutely recognize this one as it has been covered about 30 times and was featured in countless films, TV shows and commercials from decades past. It’s amazing to think this was written and recorded the same year as Woodstock. Perrey also had great success as a solo musician. His song “EVA”, from 1970, is much like “Popcorn” in that it has been covered for decades. When you listen to it now, it sounds like something modern day musicians are doing in their home studios. It’s wild to think that the genre really hasn’t come that far in 50 years. Immediately below is the audio from the original EVA recording and just after that is a live performance of the song recorded in 2005. The live version is great to watch but has about 2 minutes of introduction. It’s crazy to see this old man up there playing the original vintage instruments on which he composed this masterpiece… and yet the music sounds like something written 5 years ago. 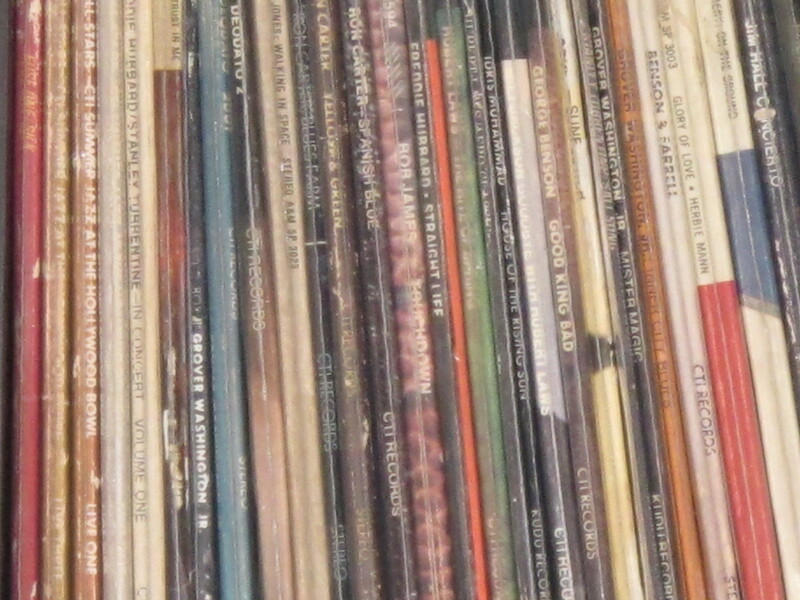 The thing to note about all of this music is that it was often a painstaking process to create. It was the advent of computer technology that has made it more accessible to modern players. Perhaps that is why the style has taken off. As it becomes easier and easier to create, more young artists try their hand at what was considered relatively impossible a half century ago. That combined with modern pop sensibilities means that electronic music is now one of the most popular forms world wide. 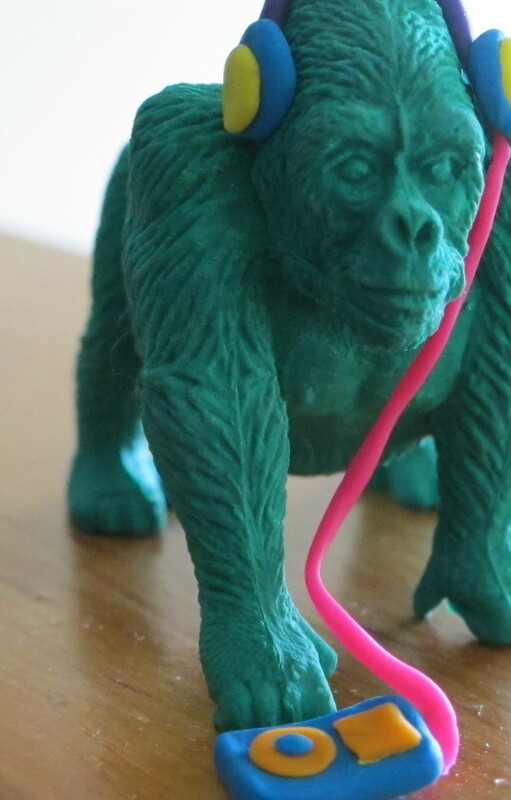 This Brooklyn based homemade musical menagerie is the brain child of composer Terry Dame. The name is very much descriptive of what this group strives for artistically. Terry and company are part of a growing movement of musicians who only utilize self-made, found and/or modified objects from ordinary life in their performances. The premise is that not only are you reusing, reducing and recycling but each instrument is absolutely unique. Which means that the player must learn to play on that specific instrument because the particular item may not be “tuned” perfectly or it may require some special technique to get a certain timbre out of it. The other element of their name that is very fitting is the fact that they specialize in Gamelan music from Indonesia. It’s an interesting style that utilizes overtones from resonating notes to create ambient harmonies. While it’s not the poppiest of music, these guys are not to be missed. Between their stage presence and the trance like effect of the Gamelan music, it’s a hell of a performance. This clip below will help you learn a bit more about who they are and what they do. Plus, it delves deeper into what the instruments are made of, how difficult they are to master and the resulting music that’s part chaos, part composition and 100% cool. If you haven’t had enough, here’s some nice live footage of the band in action. It’s an interesting sound and the performance is truly an unique experience.